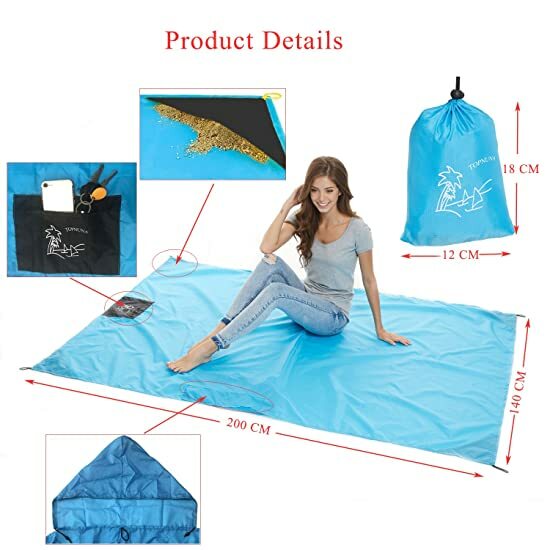 TOP QUANLITY MATERIAL - Crafted with high quality 400T nylon,best fabric for beach blankets,lightweight and compact,much lighter smaller and stronger. 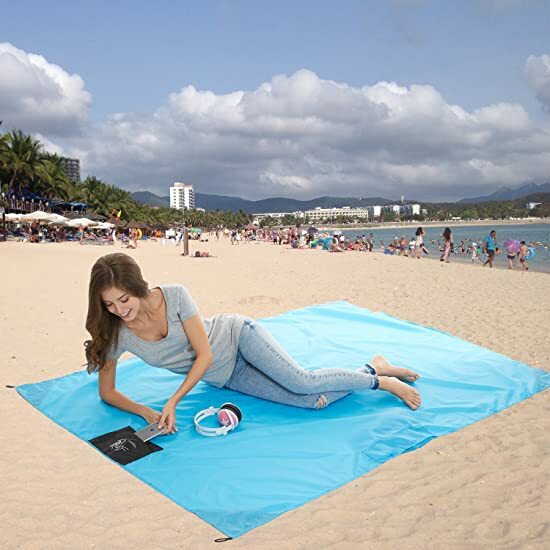 WATERPROOF AND PUNCTURE RESISTANT - Water repellent to keep you clean and dry, protects you from damp grass and keep you sand free at the beach. 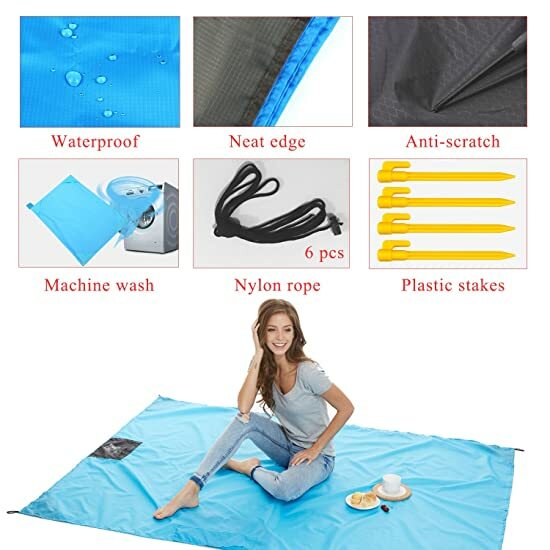 Puncture resistant to keep you comfortable, protects you from twigs, rocks, dirt, sand and insects. 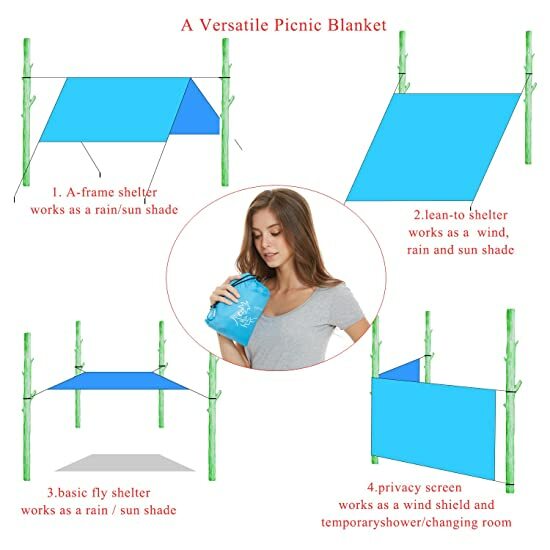 DOUBLE ANCHORED - With 5 fillable pockets and 4 stakes.It can be anchored firmly in any position, the additional sand pockets could alternatively be used for storing belongings like phone,sunscreen and other beach gears. 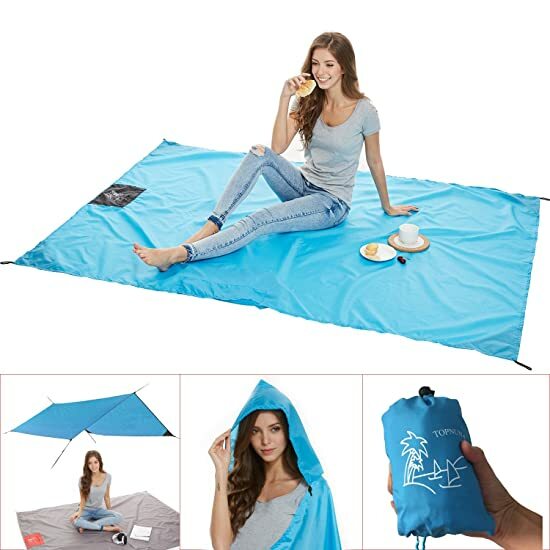 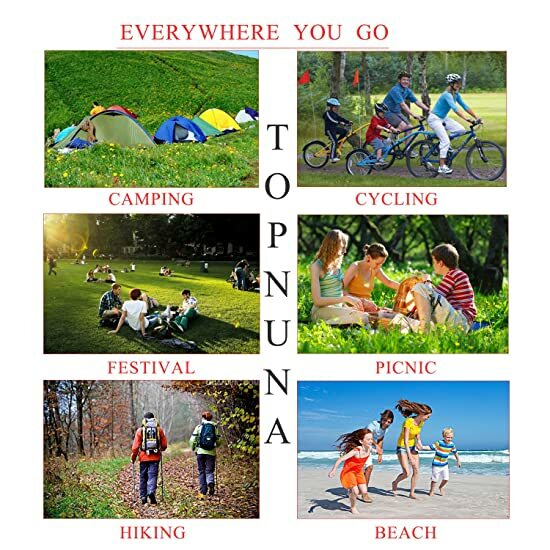 MULTIPURPOSE USE - The pocket blanket Perfect for Beach, Picnic, Outdoor events, Concerts,Ball Games,Hiking,Camping,Indoor Slumber Party,Backyard Play Mat,Fishing,Family Movie Night,Car/Tent Shade Cover and more.It can also be used as a raincoat. 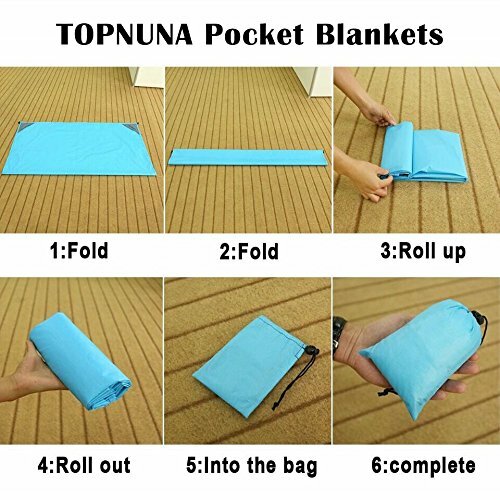 LIGHTWEIGHT AND PORTABLE - The outdoor blanket only 15 oz weighs.Folds down to just 8.3 x 7.5 inches,comfortably fits in your convenient carrying backpacks.Convenient use for outdoor activities with families.